Another beautiful sunny spring day. 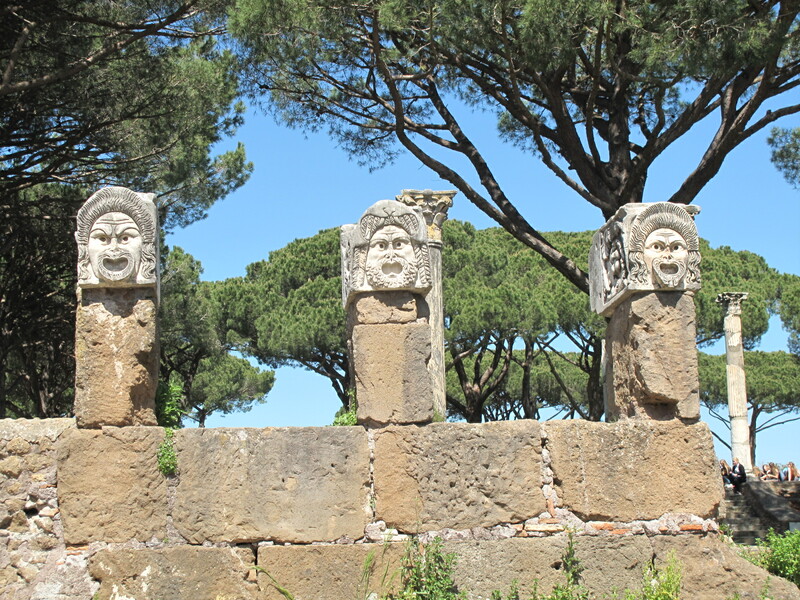 Arriving in Ostia Antica from Rome I followed the crowd from the train to the ancient port of Rome. 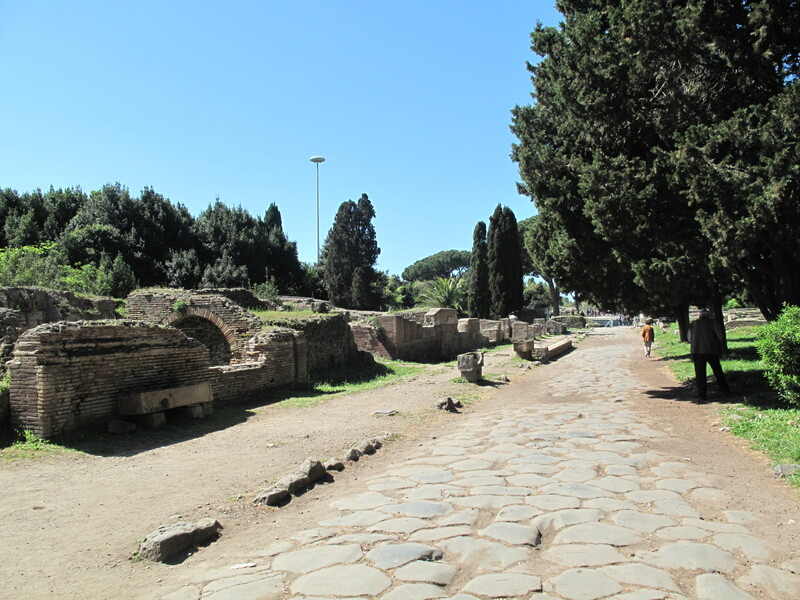 Though Ostia is away from the sea now, the River Tiber having silted up the port centuries ago, I could smell the salt in the air. 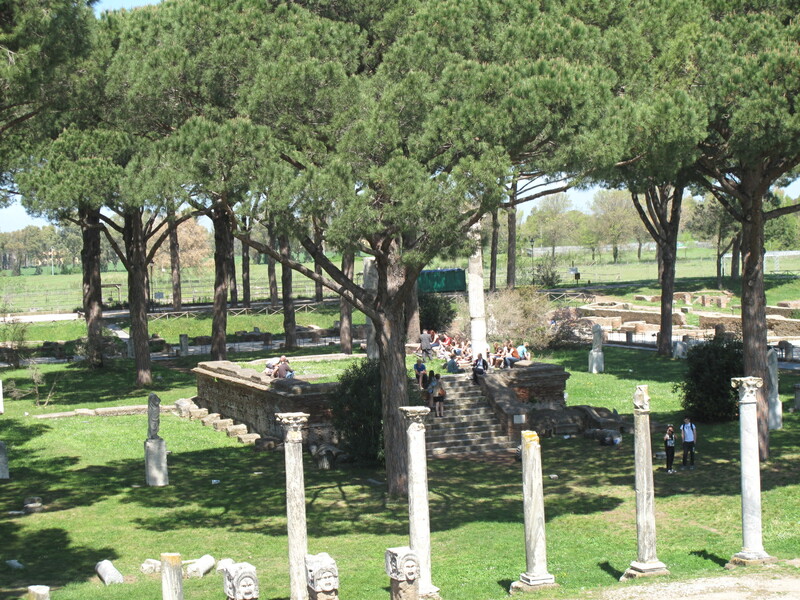 The entrance of the archaeological site begins at the ancient road into Ostia. Graves line the road into the town. 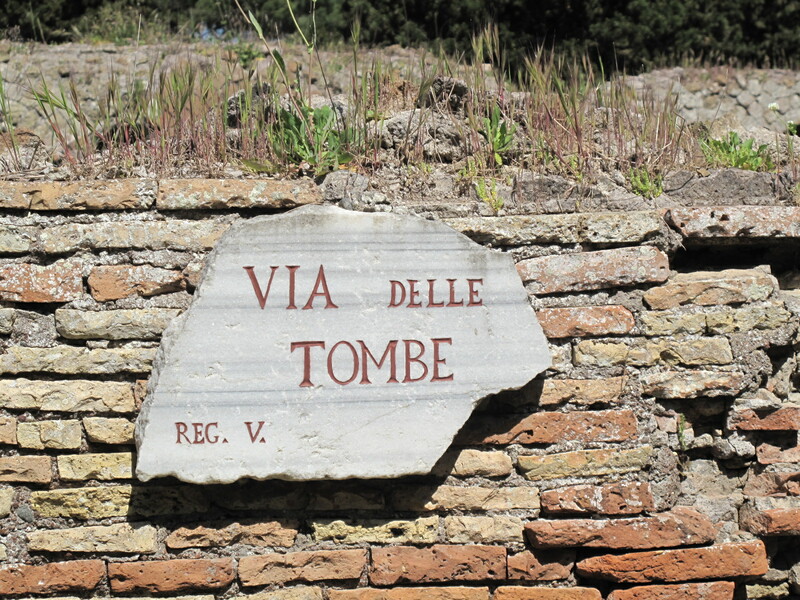 Romans did not allow any burials within their cities. 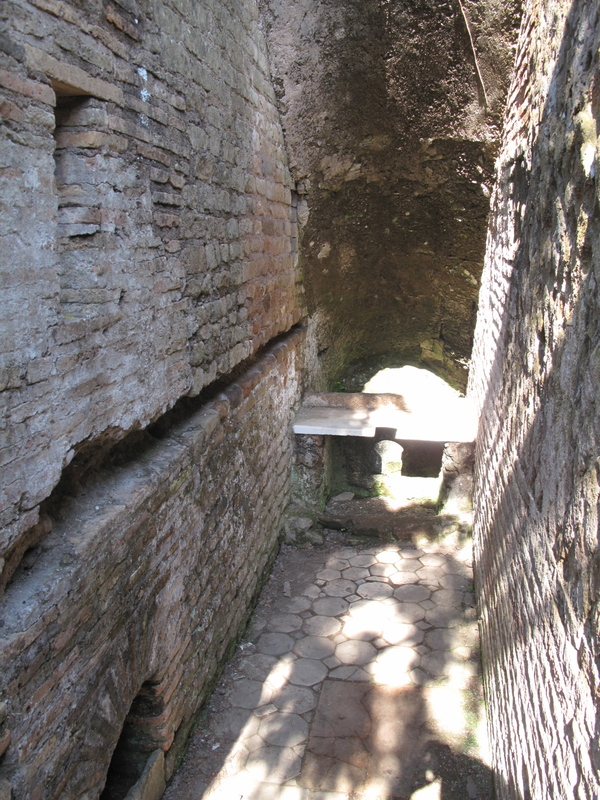 Once past where the town gates once stood the Baths of Neptune are to the right. 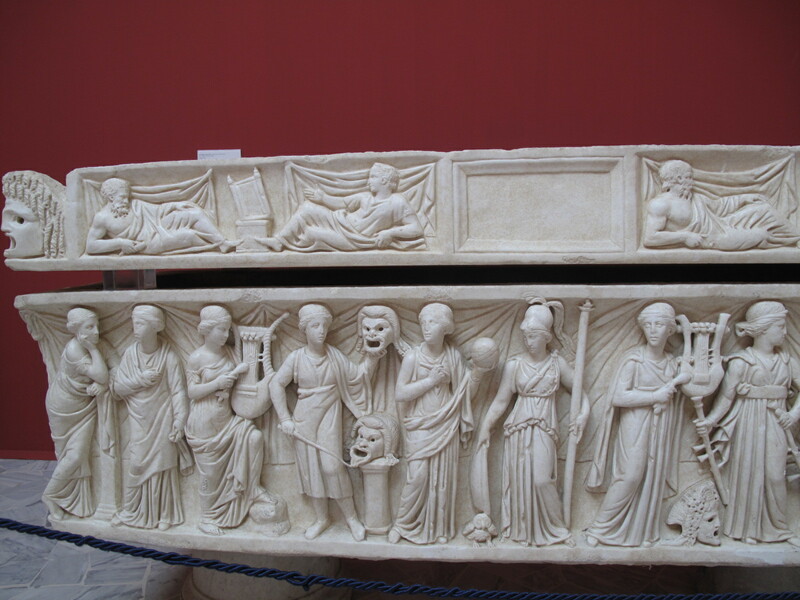 Further along is the theatre. 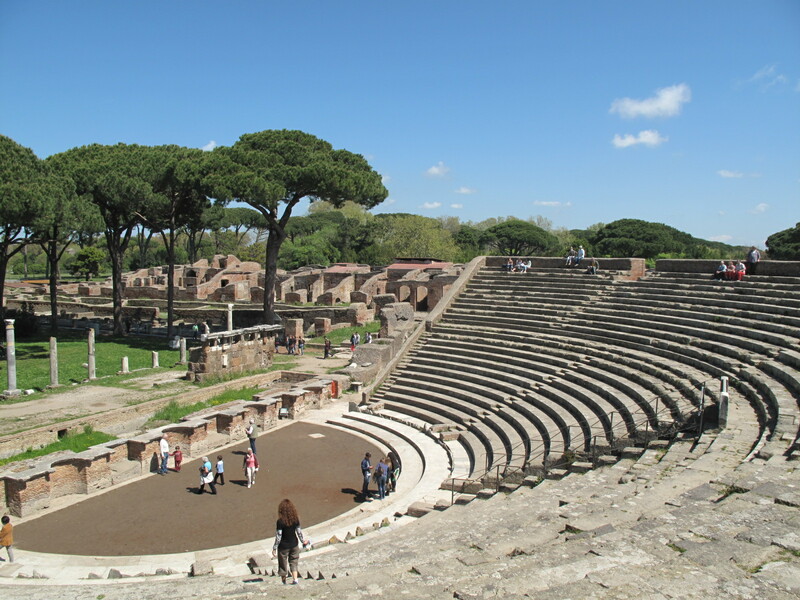 While I was sat looking back at the theatre from the Temple of Ceres, I could hear a choir giving a little concert of Adele songs in the theatre. 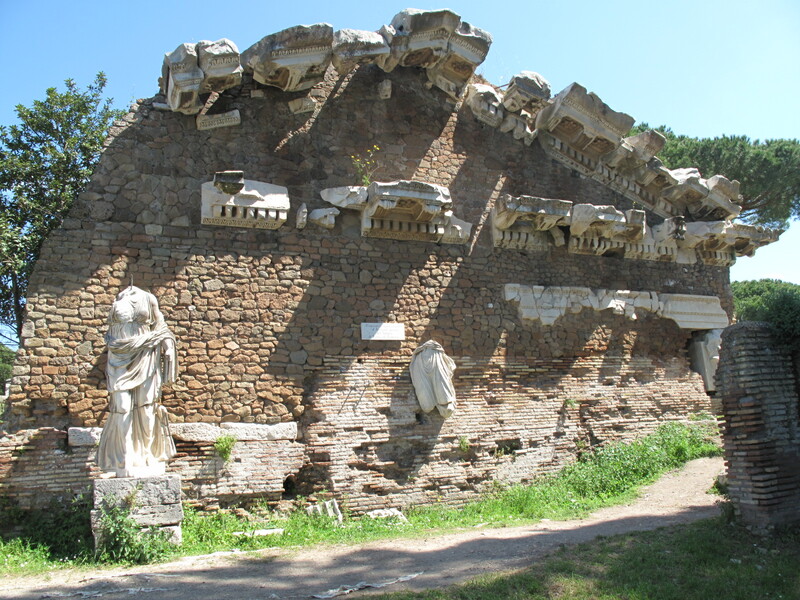 Surrounding the Temple of Ceres are the remains of commercial offices of shipping and cargo companies. 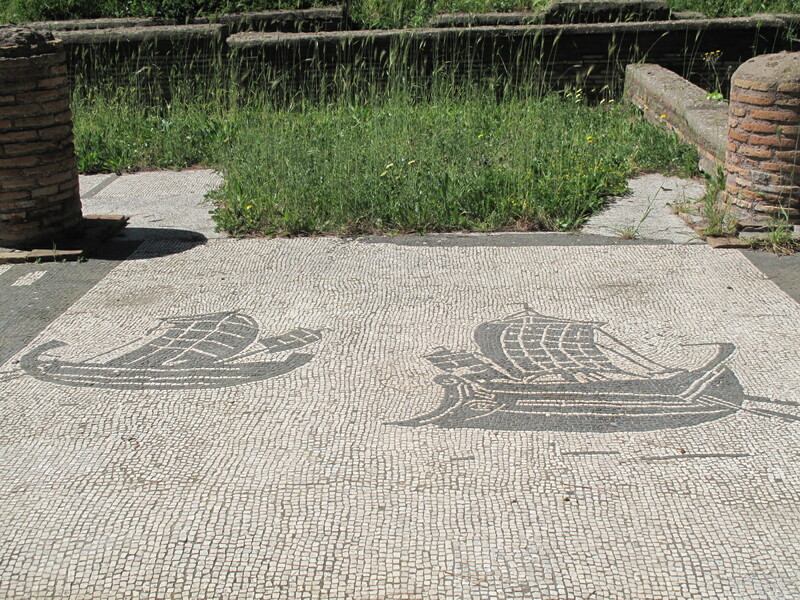 The doorway in front of each office had a black and white mosaic relating to their business, mostly pictures of their ships. 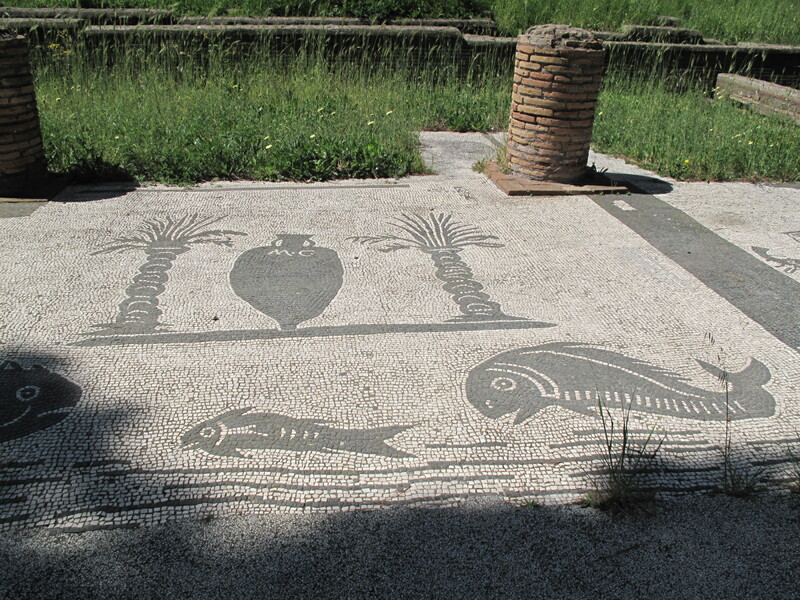 Some also had mosaics representing the cargo that was shipped to the port of Rome. Fish, olive oil and dates? 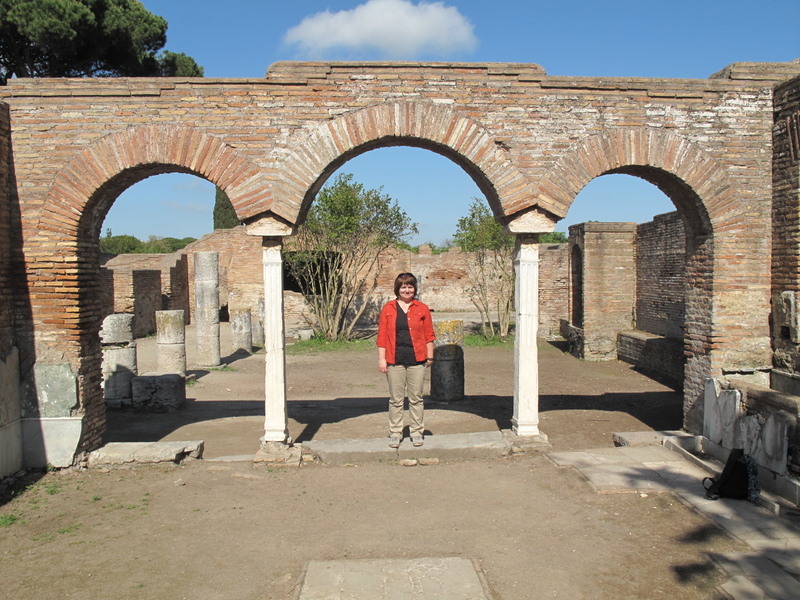 Amazingly second storeys of building survived at Ostia. 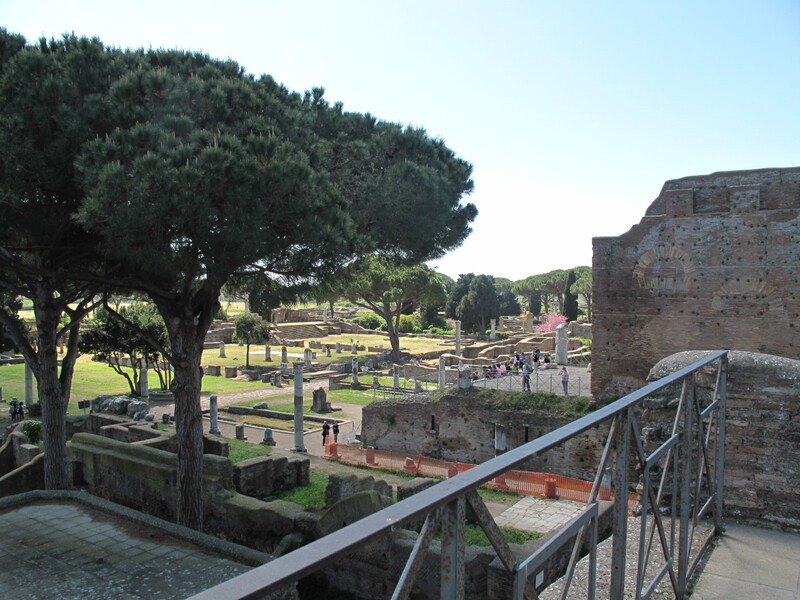 I took a photo of the Forum from the second storey of an ancient apartment block (or insula). I met a couple from England and I spent the afternoon touring the site with them. 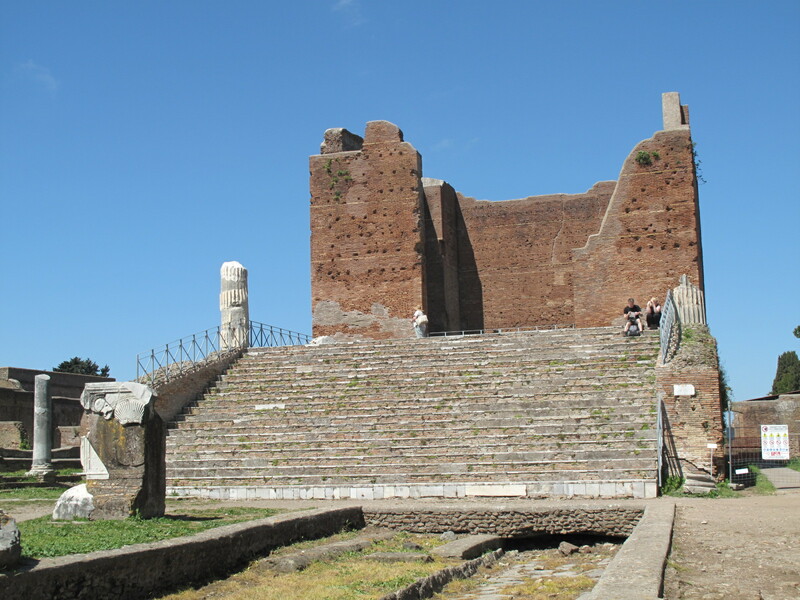 They had been to Pompeii a few days before and they thought that Ostia was equally impressive. We wandered around streets and into houses. It felt like a maze and I know I missed a corner. 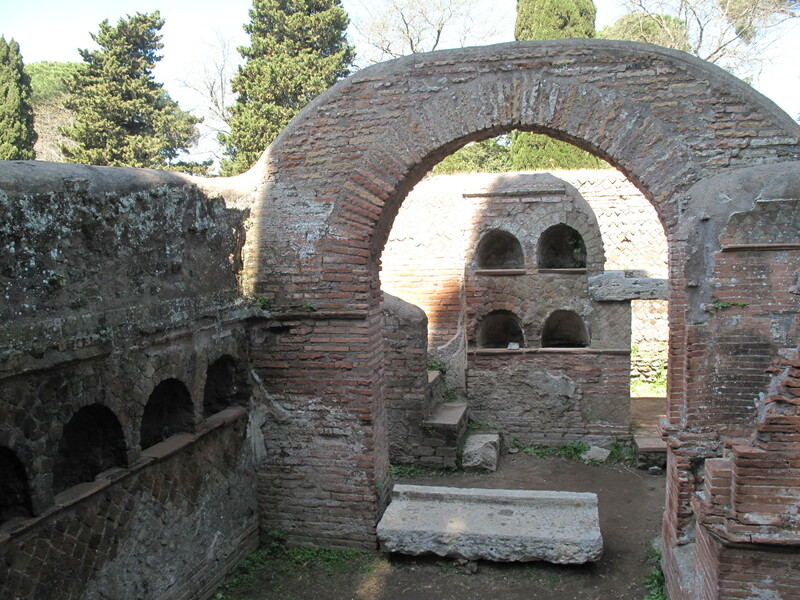 The Domus Della Fortuna Annonaria had its own private latrine. 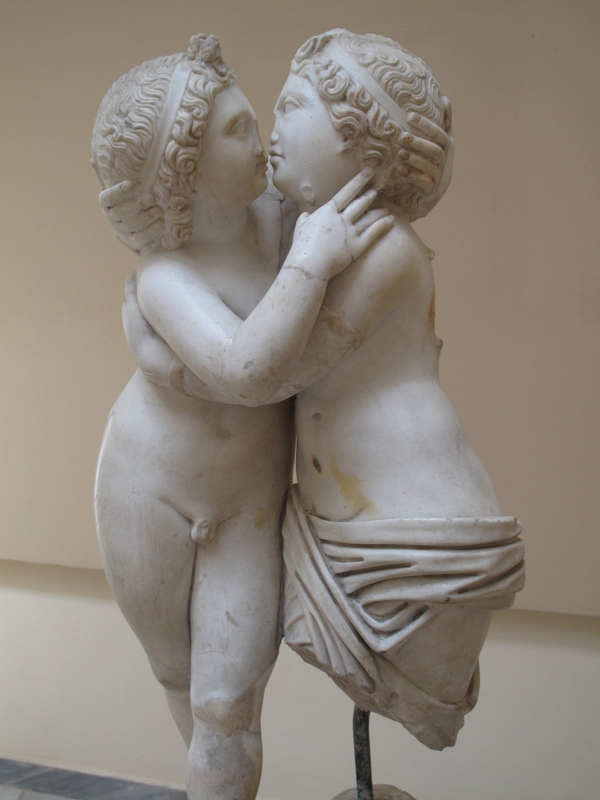 The small museum on the site had several interesting pieces of marble statuary found in Ostia. 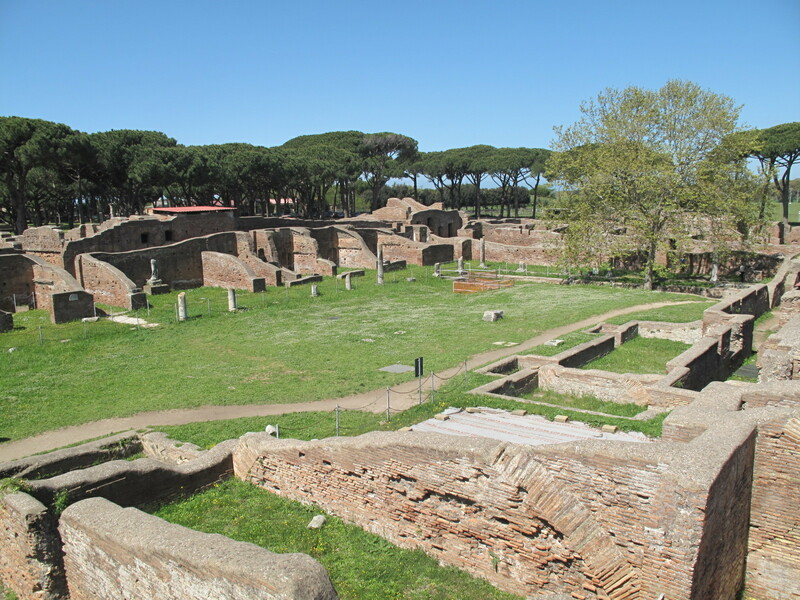 Ostia is a sprawling town and, though I had a day to spend there, I did not see everything. I’m going to have to return again one day. 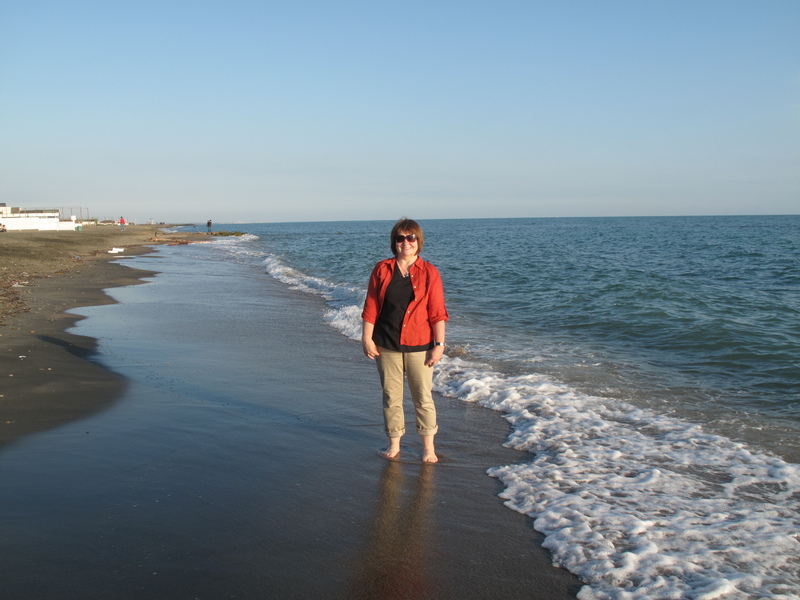 After a day among the ruins, I took the train a few stops west to modern Ostia and dipped my toes into the Tyhrrenian Sea with my new friends.